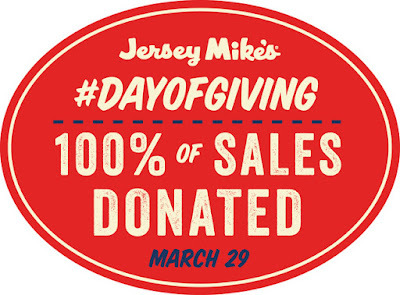 Today, 3/29, is Jersey Mike's Annual Day of Giving. The entire corporation partners with local charities to give back. 100% of sales at Las Vegas locations will benefit Opportunity Village. What a great way to grab a sub and give back - win win!